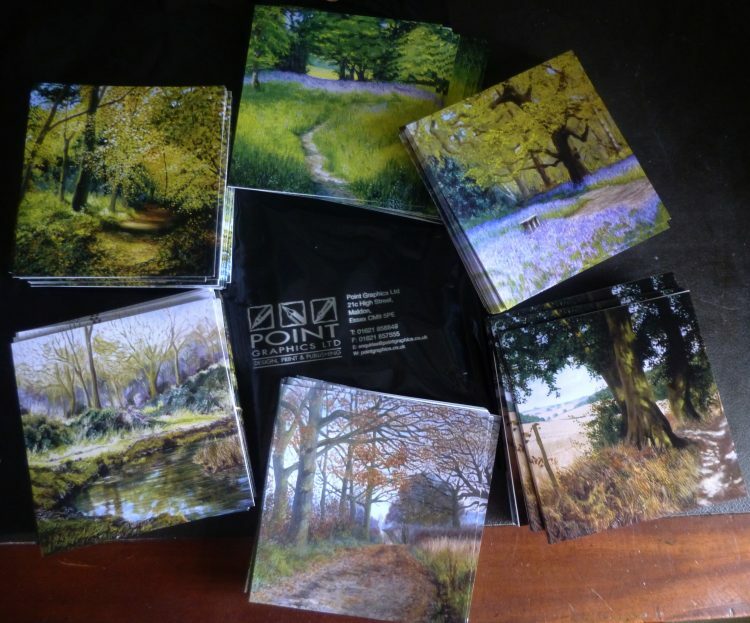 Over to Maldon this morning to Point Graphics Ltd in the High Street to collect my second batch of Essex Wood cards. I sold out of some of the designs at the Lexden Arts Festival, and I was low on all of them, so I have restocked and also had two additional designs printed – March and December. As with my first batch, I was delighted with the way these have turned out. The colours are so vivid and accurate to the paintings! I cannot recommend Point Graphics highly enough – they are so quick, and the product is so good! What more could you ask for? 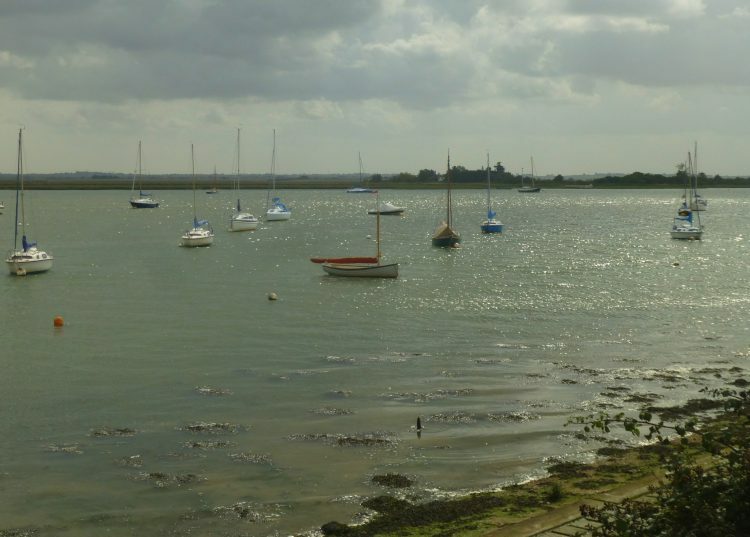 After collecting the cards I went down to Heybridge basin on a dinghy hunt, and I was in luck as the tide was in and the water covered in boats. In my walk along the sea wall I found three really good ones. While the building work is started on my new bathroom next week I’m planning on getting one dinghy painting finished, before my first open studios weekend. Having the bathroom done the week before, the week between and the week after my two Open Studio weekends was probably not one of my more skilful bits of planning, but that’s how it is!